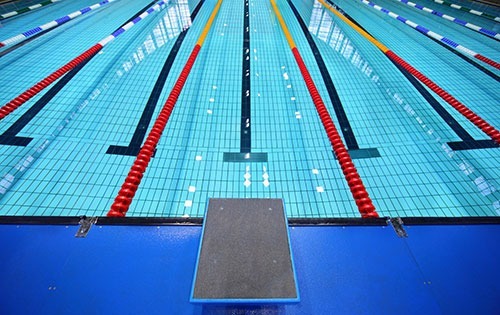 USADA announced today that Grace Ariola, of Bloomington, Ill., an athlete in the sport of swimming, has tested positive for a prohibited substance, which was determined to have been ingested by her without fault or negligence. As a result, Ariola will not face a period of ineligibility for her positive test, and because the sample was collected out-of-competition, there are no competitive results to disqualify. Ariola, 18, tested positive for hydrochlorothiazide as the result of an out-of-competition urine sample she provided on June 19, 2018. Hydrochlorothiazide is a Specified Substance in the class of Diuretics and Masking Agents and prohibited at all times under the USADA Protocol for Olympic and Paralympic Movement Testing, the United States Olympic Committee National Anti-Doping Policies, and the Fédération Internationale de Natation (FINA) Anti-Doping Rules, all of which have adopted the World Anti-Doping Code and the World Anti-Doping Agency Prohibited List. During USADA’s investigation into the circumstances of her case, Ariola provided USADA with records for a permitted oral prescription medication she was taking at the time of her positive test. This permitted medication did not list hydrochlorothiazide on the label or any other prohibited substances. However, detailed laboratory analysis subsequently conducted on the athlete’s medication tablets, as well as the same brand and dose of tablets independently sourced, confirmed hydrochlorothiazide trace contamination. In an effort to aid athletes, as well as support team members such as parents and coaches, in understanding the rules applicable to them, USADA provides comprehensive instruction on its website on the testing process and prohibited substances, how to obtain permission to use a necessary medication, and the risks and dangers of taking supplements (www.Supplement411.org) as well as performance-enhancing and recreational drugs. In addition, USADA manages a drug reference hotline, Global Drug Reference Online (www.GlobalDRO.com), conducts educational sessions with National Governing Bodies and their athletes, and distributes a multitude of educational materials, such as an easy-reference wallet card with examples of prohibited and permitted substances, a supplement guide, an athlete handbook, and periodic alerts and advisories.